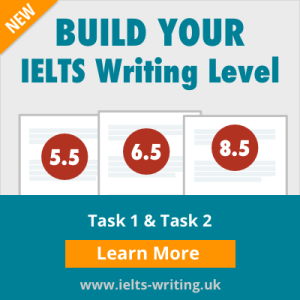 Choose the IELTS practice tests pack you would like to download and select “Download Now”. Please note: VAT is added for customers in the European Union. Enter just your name and email address. This information will be used for internal use only. Get your confirmation email. Log in and download your tests. Start studying from your screen or print any/all of the tests. Listen to the audios on your preferred device. Can I pay with PayPal without a PayPal account? Yes. PayPal accepts a wide range of credit cards and debit cards. When you click on the ‘Place Order’ button you will be taken to the PayPal check out page. On this page you will see a small panel. Inside this panel, simply click on “Don’t have a PayPal account?” and you should be able to use your credit card or debit card without signing up to PayPal. I don’t have a credit/debit card. How can I pay? People who don’t have a credit or debit card often ask a friend or family member to make the purchase for them but they do not need to have a PayPal account to pay using PayPal. Please see ‘Can I pay with PayPal without a PayPal account?’. Your payment will be processed by PayPal. As soon as your payment is cleared a login email is automatically sent to you. This usually takes less than 10 minutes. You will find links to your downloads inside this email. Click on any of the links. You will be asked to sign in and you can then start to download your practice tests. Orders are processed on the same day that we receive them. It usually takes less than 10 minutes for you to receive your login email. Please check your SPAM folder first. If you still haven’t received your email, please contact us here. You can reset your password by going to the My Account page and then clicking on the Lost Password? link. Also please check your plan to see if your online access has expired. Some plans come with 90 days download time, others with 60 days download time and others with 30 days. Can I print the IELTS Practice Tests? Yes. You can print any/all of the tests which are in the pack you purchased. Each page has also been designed so that it prints in a very user-friendly format. Simply login and click on ‘My Account’. You can update your information on this page. Are the tests in the ‘listening’ pack the same as the listening tests in the ‘general’ or ‘academic’ packs? Yes, they are. You don't need to buy the Listening as well as the Academic or General Packs. Yes, you have 90 days to download the tests. How many times can I download the tests? You can download each test up to 8 times, and you should do this within ninety days.